Indian agriculture is at a crossroads. While rising incomes and demographic pressure combine to expand demand for a whole range of food crops, farm sector growth continues to be stymied by antiquated agronomic practices resulting in low productivity as well as newer challenges including land constraints, water shortage and climate change. India may not exactly be food insecure today, but the country is not self-sufficient either. Any smug feeling or claim based merely on rice and wheat production that we are self-sufficient in food is dubious especially given that at least a couple of hundred million poor still do not have adequate access to nutritious food. The poor nutrition status of the country is proof enough. We are high on Global Hunger Index while being way below on Human Development Index. The so-called food surplus will vanish without a trace if affordability and access to food for a large number of the poor is ensured. On the other hand, Indian agriculture is fragile and vulnerable. We are only one bad monsoon away from a farm disaster. There are inherent risks in agriculture, and if not de-risked, we may inexorably move towards a situation where food security is threatened. We need to break the sluggish growth rates and work towards resurgence in agriculture. The government’s initiatives such as soil health card, crop insurance, contract farming, national agricultural markets and so on are necessary, but surely not sufficient to trigger a major transformation in the country’s agriculture sector. The structural problems of the farm sector have remained largely unattended. Strengthening the input delivery system, expanding irrigation facilities, reviving the extension mechanism, investing in rural infrastructure and building capacity among growers to face market volatility are issues that have been largely glossed over. 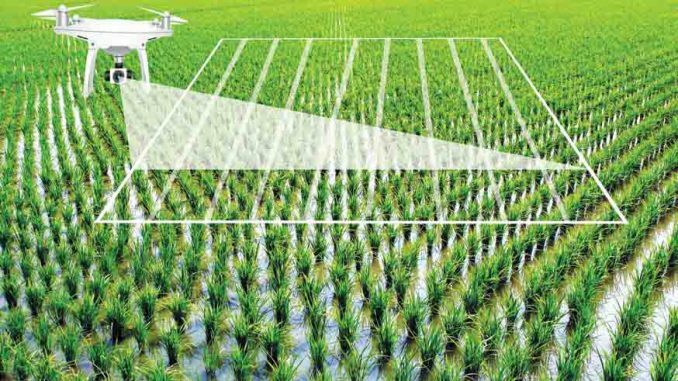 Indian agriculture deserves a technology-driven revolution, especially given the extant challenges of fragmented landholding, low level of input usage, limited access to irrigation, absence of extension services and inadequate linkage to markets. Infusing multiple technologies in farming has the potential to transform agriculture from being a matter of livelihood to one of agri-business where every farmer becomes an entrepreneur. A majority of Indian farmers may be resource-poor, but are good at adopting practices that deliver improved returns. As they say in Hindi: ‘hamara kisan shayad unpad hoga, magar anaadi nahi hai’. Loosely translated it means, ‘our farmers may be illiterate but they are not simpleton’. Clearly, growers here are adept at adopting practices that ensure better outcomes. The aspiration levels in rural areas are rising and our policies cannot lag behind. At this point of time, Indian agriculture needs policy support, technology support and investment support. In none of these is there any tangible progress or outcomes. Technology should be the way forward. It is unfortunate this government seems to be not serious about technology infusion. Activists and sundry others are able to get away with court orders delaying, if not preventing, even research relating to tech infusion. It is important for all stakeholders to recognise that it is the sovereign duty of the government to ensure the country’s food and nutrition security; and therefore the government will have to be hyper-active in policy-making and implementing policies. It should brook no interference in the discharge of its sovereign function. It must respond to legal challenges with alacrity, transparency and in national interest. The truth is, activists have no such duty cast on them; but in the guise of public interest, they are able to delay, and sometime deny, progressive policy-making by approaching courts of law. Stakeholders have to be wary of their motives. It is in this context that the recent Supreme Court order that it will not disturb the status quo (ongoing field trials of genetically modified mustard) without hearing the government is a welcome one. It is now over a year since the government told the apex court that it was considering various aspects before taking a final call on the commercial release of the variety. If anything, we need to invest farming with multiple technologies — information and communication technology, biotechnology, satellite technology, nuclear agriculture technology and nanotechnology. Each one of these technologies has a critical role in strengthening the production base in a sustainable manner, and help growers take informed decisions. We need to de-risk agriculture from the numerous risks it is subjected to — weather risk, production risk, quality risk, market risk, price risk and so on. Technology infusion is a scientific way to reduce, if not eliminate, a number of these risks. A comprehensive policy package to revitalise agriculture in a sustained and sustainable manner with appropriate (nationally uniform but regionally differentiated) policies, adequate investments to back up the policy and close monitoring and evaluation of the outcomes is the need of the hour.